The annual Rivers State Carnival (CARNIRIV) aimed at showcasing the rich and colourful heritage of the state is scheduled to be bigger and better than that of last years', come December 2009 at the Garden City of Port-Harcourt, Rivers State. CARNIRIV is the convergence and display of Rivers State's cultural originality from the 23 Local Governments Area amidst fun, colour and grandeur. After breath-taking performance and spectacle of cultural display at the last year Abuja National Carnival at the F.C.T, CARNIRIV journey started in year 2008, not however forgetting that it was the same Rivers State that first organized a carnival in Nigeria in 1998. The key objectives of CARNIRIV are to instill the aura and spirit of brotherliness among the people of Rivers State, to put Rivers State on the positive light among the comity of nations and to create an annual platform that connects brands to its target audience in Rivers State and other Niger Delta areas. The Commissioner of Culture and Tourism for Rivers State, Hon Marcus Nle Ejii said that “ last year CARNIRIV was aimed to re-awakening the Rivers people's cultural pride, values and above all, it was geared to unveil a people with the most beautiful culture in Nigeria and to the rest of the world. 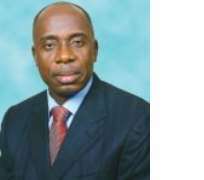 However, 2009 CARNIRIV is packaged to place Rivers State in a positive light among comity of nations and to make it a destination that attracts business, people and tourists globally” he averred. The weeklong event is expected to drive foot-traffic to Port-Harcourt and its neighboring cities with an unprecedented attendance of over 500,000 people come December 2009. It is expected to take Nigeria by storm. The Riverian people have an enviable culture and history that has placed them on an enviable pedestal in the comity of state in Nigeria. The State is proud to have produced the likes of Agbani Darego, a beauty queen that took Africa and the entire world by storm when she won the Miss World Beauty Contest in November 2001. The state equally has the honour of having a world renowned Minority Rights Activist in Ken Saro-Wiwa, widely acclaimed King of High Life, Cardinal Rex Jim Lawson, Adam Fibresima, Captain Elechi Amadi, a renowned writer. The event highlight include African Cultural Exhibitions (ACE); Walk for Life; The Great Carnival, Gala Nite, an International Film Festival, Miss ECOWAS Beauty Pageant and CARNIRIV Musical concert etc. It would be recalled that 2008 CARNIRIV had in attendance Wyclef Jean, Joe, Brick &Lace, D'Banj, amongst others, this year's Carnival promises to be bigger in terms of content, programme, artiste's performances and tourist's attraction drive. Arrangements are in top gear to kick-start this year's campaign in a unique way.